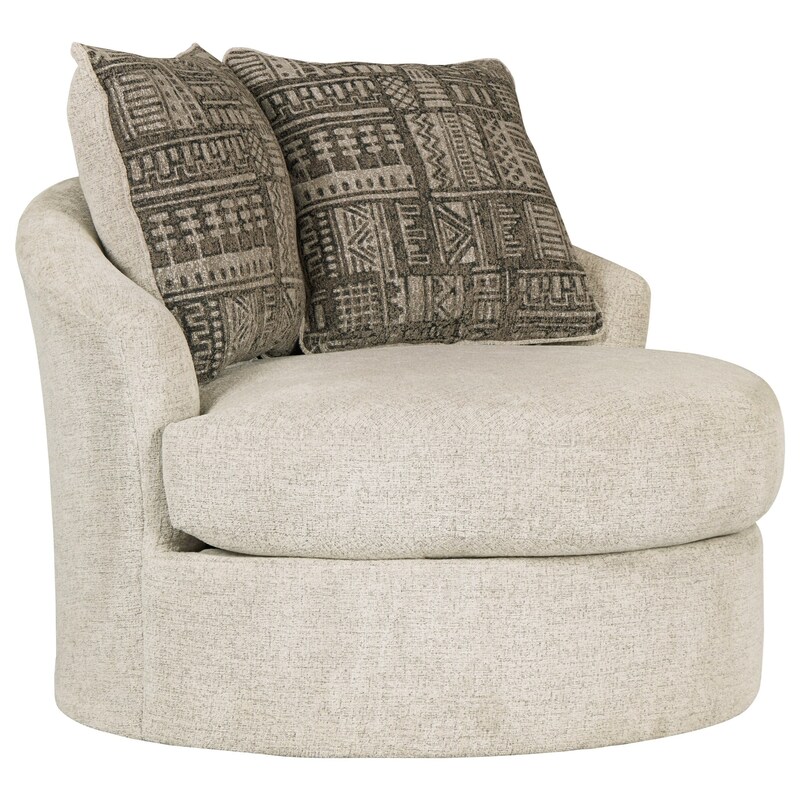 This contemporary swivel chair features a trendsetting design that is sure to bring a modern feel to your home. Two accent pillows provide a splash of contrasting color and geometric patterns, while the swivel base allows you to face in any direction with ease. The Soletren Contemporary Swivel Accent Chair by Signature Design by Ashley at Sam Levitz Furniture in the Tucson, Oro Valley, Marana, Vail, and Green Valley, AZ area. Product availability may vary. Contact us for the most current availability on this product. The Soletren collection is a great option if you are looking for Contemporary furniture in the Tucson, Oro Valley, Marana, Vail, and Green Valley, AZ area. Browse other items in the Soletren collection from Sam Levitz Furniture in the Tucson, Oro Valley, Marana, Vail, and Green Valley, AZ area.